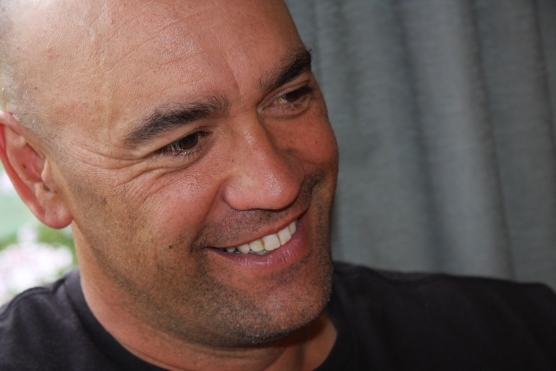 Ihirangi Heke, of Tainui-Waikato descent, was raised in the South Island mountain adventure environment, before it was popularly known as such. This has helped to mould his particular approach to his personal and professional life, which has seen him build a range of specialised skills, knowledge and experiences in health and physical activity. A graduate of Otago University, he has lectured there and built a career based on helping athletes, both ordinary and elite, achieve goals beyond their expectations. Dr Heke has been working with Johns Hopkins University (Baltimore) where he was funded by the Global Obesity Prevention Centre to conduct a study using traditional indigenous health approaches alongside Systems Dynamics. Also, Dr Heke is working with Washington University (St Louis) in the development of training programmes exchanging Systems Dynamics from indigenous and non-indigenous perspectives. In New Zealand, Dr Heke is an honorary research fellow to the University of Auckland. Dr Heke is an elite athlete performance consultant to New Zealand Sport and has worked in disciplines ranging from the traditional netball and rugby to the more contemporary interests of golf and motorsports. A meeting of minds with the late Dr Paratene Ngata resulted in Dr Heke moving his family to the rural East Coast town of Tolaga Bay and working with local Te Aitanga ā Hauiti people on indigenous, activity based, preventative health solutions, that is, motivating local Māori to be active within their own land and seascapes. This marked a turning point in his practice, and over the past 10 years he has been active in helping Māori and other indigenous groups abroad, build their own health and wellness activities based on their own traditional knowledge. His Atua-Matua Framework has been a work in progress and is attracting national and international attention from health and education policy makers and providers who are struggling to apply standard western deficit models to global health initiatives, and are looking to more localised indigenous models of engagement to deal with global health issues. At any one day of the week you might find Ihi mountain biking with Te Arawa people in Rotorua, playing traditional games with students in Kaikohe, at a trekking meeting in the snow in Japan, or in a virtual meeting with colleagues from Auckland University, Brookings Institute Washington, and a marae in Uawa. This is all part of him joining the dots to enable Māori and other indigenous peoples to define and determine their own health pathways and solutions. Ihi is a busy man, and that is the key, be busy, be active or be gone.